Riparian area habitat work helps turkey populations. If you’re not familiar with the term the “riparian,” it simply refers to land adjacent to rivers, streams and other moving bodies of water. Riparian areas include floodplains and floodplain buffers. They offer diverse habitats, which can be moist and swampy, or dry and sandy. It all depends on rainfall. Riparian areas are often forested, varying in density from thick to open. When you consider the essential needs of turkeys – food, water, cover and nesting sites – riparian areas are rich with all four. It’s water that defines a riparian area, so go ahead and check that box. Insects, seeds and berries are usually found in abundance. The moist soil produces dense vegetation for ample security, and all kinds of brush and fallen trees are available for nesting. In Missouri, there is an abundance of public land along our many riverways. A few of my favorite turkey hunting spots close to home are large sections of public land along the Missouri River. These areas are remote, and most easily accessed by boat, which alleviates a lot of hunting pressure. I hunt riparian areas on these public lands that have been improved by the work of NWTF biologists and volunteers, along with staff from the U.S. Fish and Wildlife Service (USFWS) and the Missouri Department of Conservation. A bonus of improving habitat for turkeys is, the improvement of habitat for countless other species. Most of which are non-game species that likely wouldn’t command the financial resources to fund habitat improvements on their own, unless they had already reached a critical status. 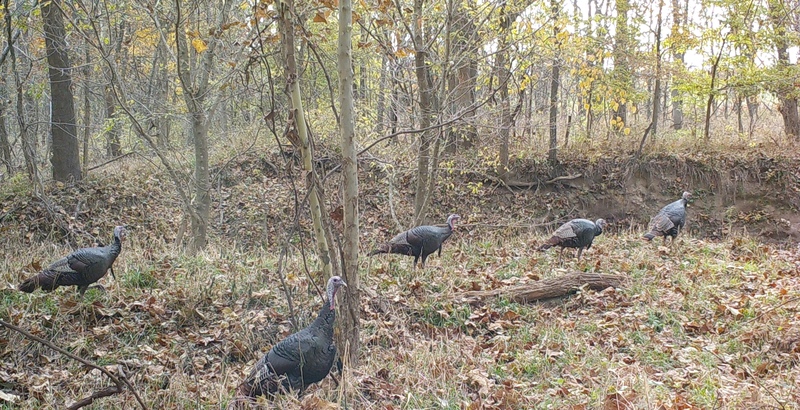 Missouri is one state working hand-in-hand with the NWTF to put dollars to work in a way that benefits turkeys, along with numerous other critters. 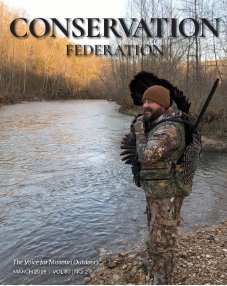 Riparian habitat work being accomplished through NWTF partnerships is enhancing public land and hunting opportunities for turkeys across America. It’s also benefiting other game species such as bobwhite quail, rabbits, and squirrels, as well as many non-game species. NWTF members and supporters should feel good knowing their dollars are being stretched through partnerships to improve riparian habitats where they hunt and enjoy the great outdoors.